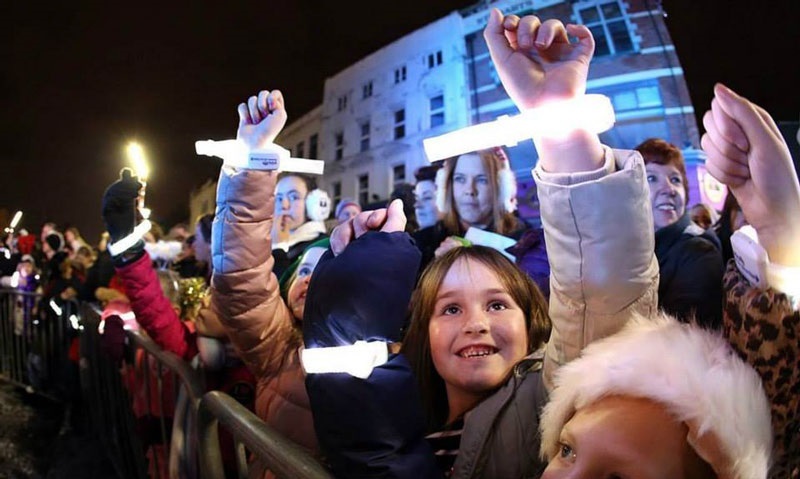 New technology wearable-lighting wristbands bring light effects to EVERYONE at the event! XyloBands are the world’s first live controlled wristbands, allowing the entire crowd to be lit up with pixels of light and motion. Stadium shows can display huge pixel effects created with XyloBands interactive LED technology. The ground-breaking effect was created for UK band Coldplay, who pioneered the XyloBands LED wristbands. Coldplay won awards for the new technology as it brought 4 million fans into contact with each other and their live show using the live controlled LED bracelets. 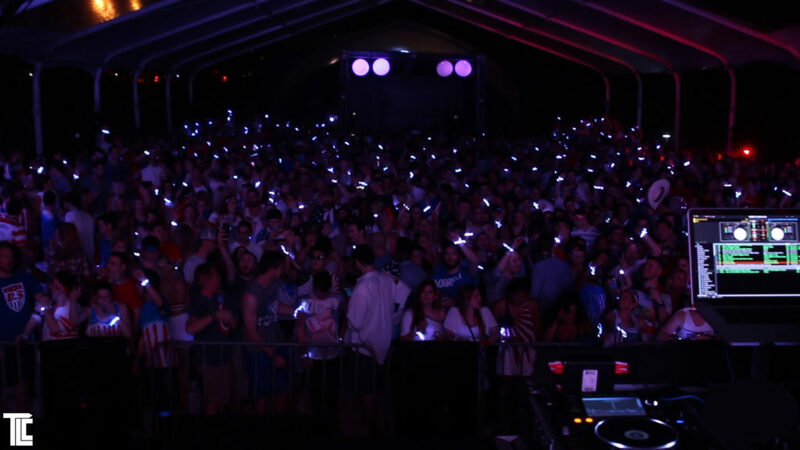 XyloBands USA is bringing the amazing experience to life at events corporate events for Loreal, Samsung, BMW, Oriflame, Telemundo, Molson Canadian and more. Music performers Pitbull, Daddy Yankee, Katy Perry have been doing large scale private events, here, and in Mexico and Guatemala, that have featured XyloBands LED wristbands. A recent event with DELL computer company in Las Vegas included a stadium of DELL employees super-hyped to real excitement levels, getting motivated thanks to TLC’s high-energy production expertise, including XyloBands and a huge light-up blimp, decorated with DELL logos, that flew all over the crowd and sent exciting video images as it hovered over the excited DELL employees. TLC Creative is well-known for amazing events, and ways to bring event excitement to the next level. XyloBands have been successfully road tested touring with Coldplay, lighting up season openers for the MIAMI HEAT, and at the ELECTRIC DAISY CARNIVAL, and have become the standard to which other wristbands aspire. Turning the audience into the show! Previously the audience was the ‘dark’ area during any show experience, now the lighting of the show includes the audience, each member of the audience! 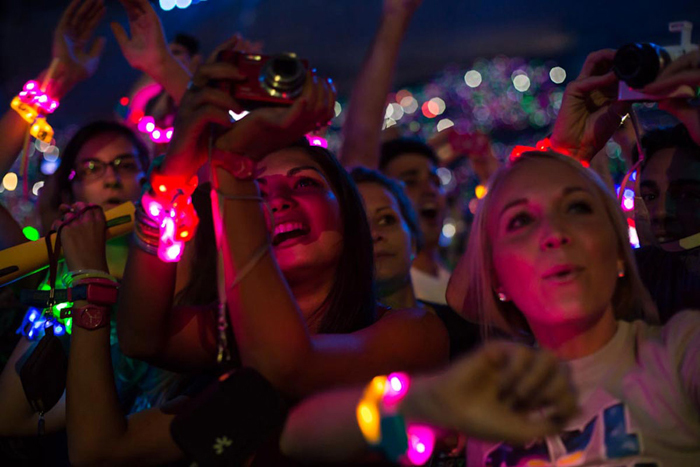 The era of wearable media kicks into high-gear with XyloBands bringing lighting to each person in the room. SHAKIRA performed with an open park of New York City fans wearing XyloBands for T-MOBILE. TLC Creative brought the XyloBands to Bryant Park, the spot for the public concert and promotional event for T-Mobile announcing new services. 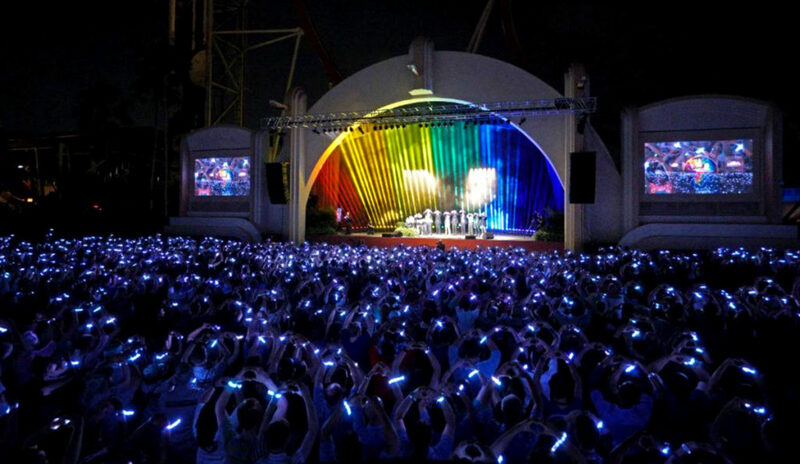 The event was well promoted and overhead views saw the park lit up with XyloBands. TIESTO – Las Vegas club has featured XyloBands in a nightclub, with the wristbands programmed to sync with the music. At moments when the overall club lighting goes off, the guests go wild as they become the light show! LA VOZ – The Voice tv show in Mexico featured XyloBands on the audience and on performers during their season finale show. IN THE ZONE: Different areas or colors of the event can be controlled simultaneously, meaning events are able to chase patterns across venues and instigate audience waves and motivational energy. Special programming zones can separate a venue into different sections of color or control and then add detail such as performers wearing other zones or colors. Up to 8 different zones can be programmed at one time with the current XyloBands.